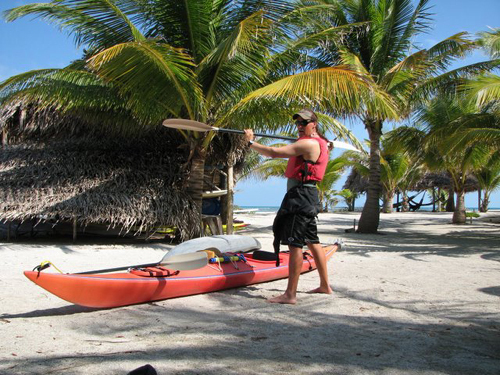 The best way to learn to kayak ... in Belize! 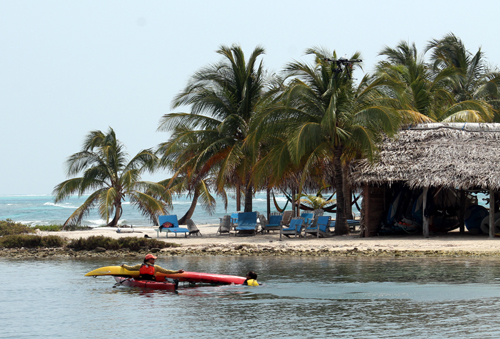 The best way to learn to kayak … in Belize! 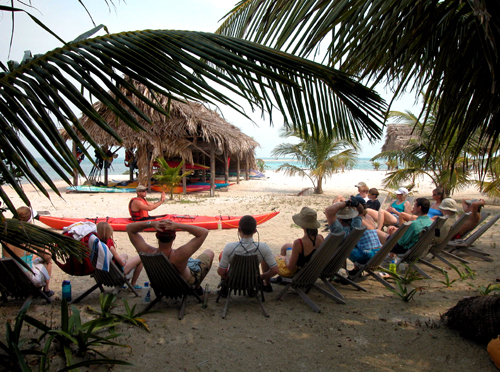 Every week we teach a new group of guests how to kayak. 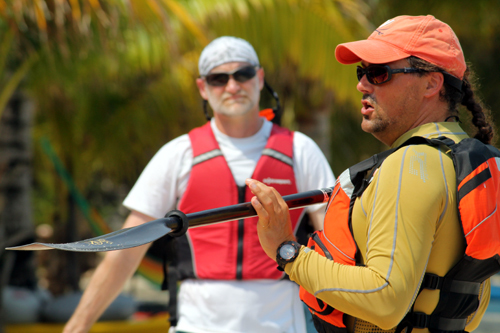 We have been doing this a long time and we have a great system to get everyone on the water safely quite quickly. 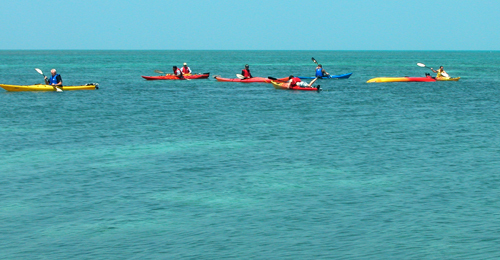 It’s a fantastic place to learn because the water is crystal clear and 82 degrees! 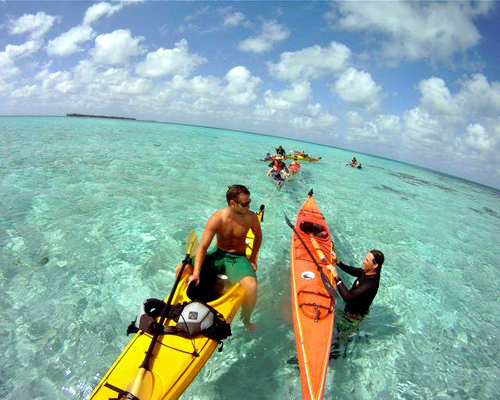 Our guides are experts, the gear is professional grade, and in just a few hours you are ready to paddle out to a patch reef to go snorkeling out of the kayaks. 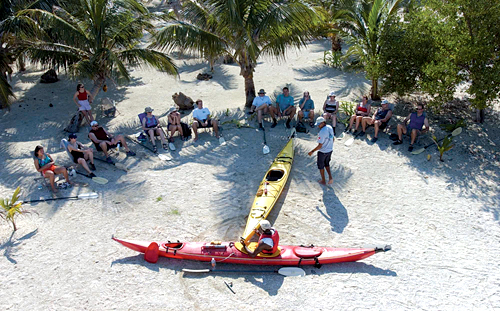 To start, the guide introduces sea kayaking on land, covering the kayak itself, and getting in and out of the boat. Next, paddle strokes are covered. 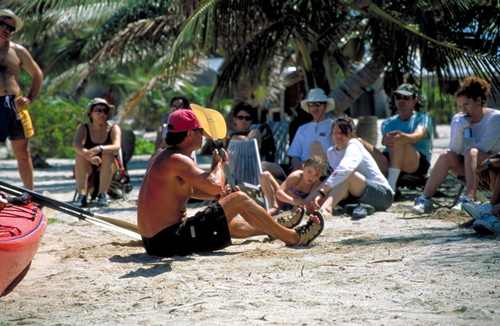 Here the guide explains proper hand position on the paddle. On the final phase of the land lecture, the T-rescue is fully explained. We will each be doing a rescue in the water soon! 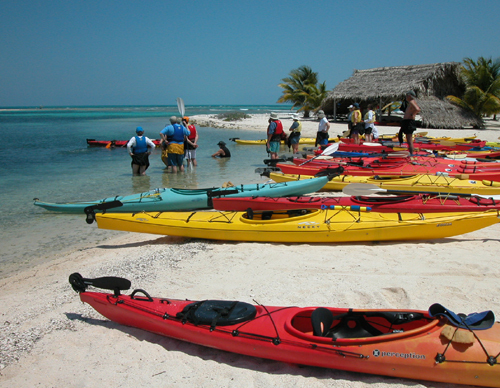 Next, with the help of a guide, each person picks out the kayak that is best for them and adjusts the foot pegs to fit their height. 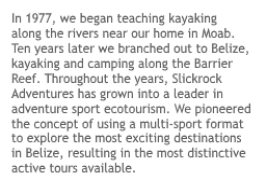 Now that everyone has the paddle they will be using for the week, paddle strokes are re-explained. 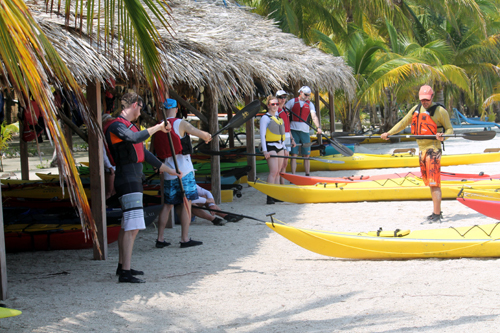 Practicing paddle strokes before getting in the water. The rest of the demos are in the water. 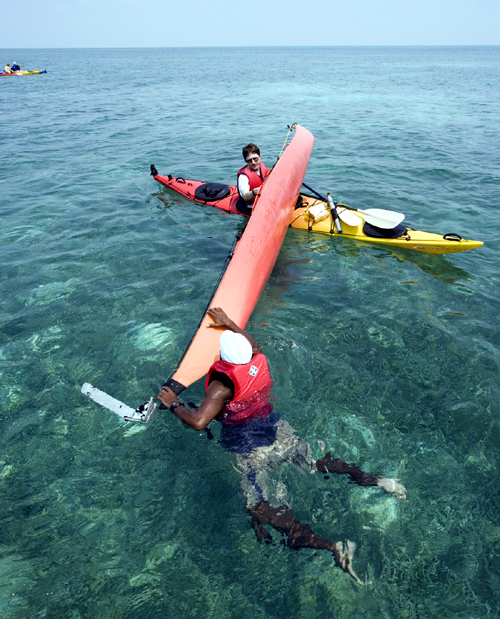 Here the guide is demonstrating entering the kayak in shallow water. Next both guides demonstrate the T-rescue in the water. 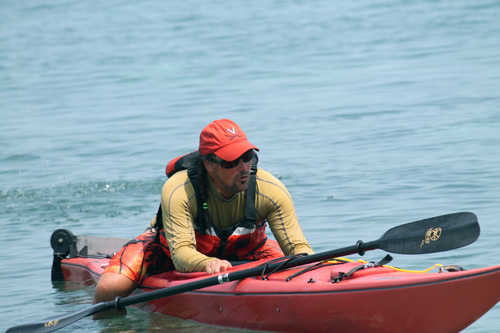 The final demo is how to get back in the kayak unassisted. 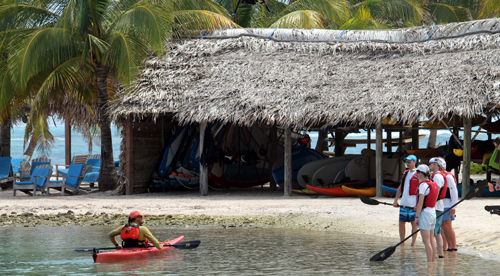 You need to know how to do this for snorkeling out of the kayaks, something we do every day! 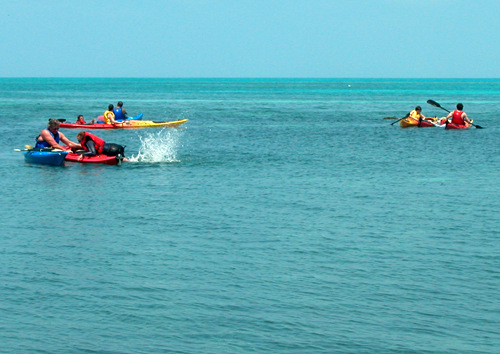 Now everyone goes out into the water to practice paddle strokes and the T-rescue, which you see a group practicing here. 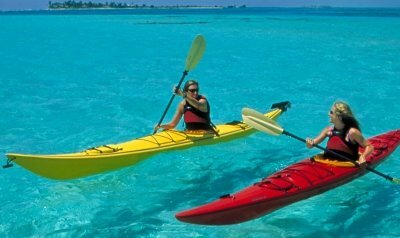 It takes quite a kick to get back up on your kayak. 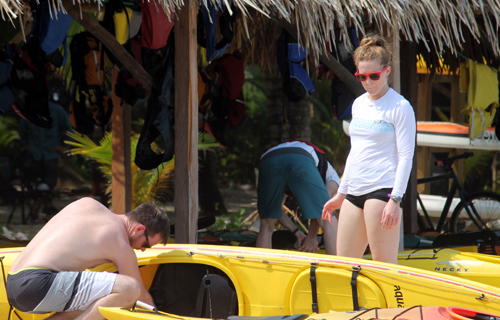 Now you are ready to go snorkeling out of the kayaks!